Scammed in Budapest? No, this is for sure not a clickbait headline because it unfortunately really happened… You already saw my article about my Budapest trip and 9 amazing things to do there. And in this beautiful city I made a huge mistake, and I got scammed. So I will tell you the whole story. Because this way you can’t make the same mistake that I did! 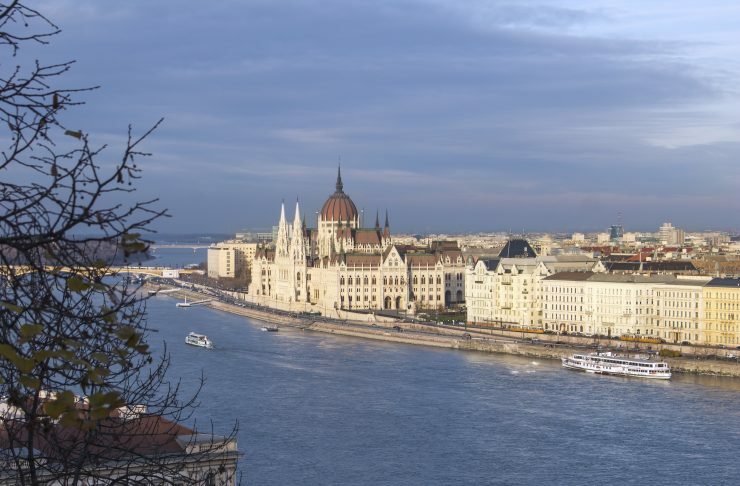 Are you curious how I got scammed in Budapest? Probably you don’t get it how I got scammed. So let me explain it all to you. The company from the minibud was located in the airport just next to the one from the cabs. So I thought that the mini bus company was trusty. I asked some information and the price for 2 persons forth and back was less that the price for a cab ride only forth. So of course I went for the mini bus, because I thought that this was easier than a cab. I gave the location from the air bnb and I got a number. With this number I had to wait in front of the airport. When my number was on a screen I knew to which bus I must go. In our bus there where two other couples and or ride was fluently. For the ride back to the airport I had to give in my flight number on their site at least 24h before our flight. After this I got a mail and a text message with the hour they would come to pick use up. We had an early flight at 6h55. So the mini bus would come and pick use up at 03h55. This was very early especially if you keep in mind that it was just a 25 min drive. But ok I thought that way we will have enough time to do it slowly. We stood outside from 03h45. And at the time in Budapest in the middle of the winter it’s soooo cold. Meanwhile, we were waiting outside for a while now, but nobody came. Time was passing by 4h10, 4h25, 4h45,… I already got a little panic attack because on that hour nobody was accessible. We were very lucky that we stayed on a busy road and sometimes a cab passed by. So from 4h30 I gave up because the bus will never come. So I tried to hold a cab. And around 5h I was lucky and I could stop a cab. I tried to contact the mini bus company many times…. But they never answer on my phone calls or mails. Have you even been scammed before or during a Holiday? This is a really bad experience. I suppose you felt so nervious and exhausted. Thanks for sharing with all of us! Oh wat stressvol! Ik kan mij heel goed voorstellen dat je dan in de paniek schiet. Gelukkig is het uiteindelijk nog wel goed gekomen door zelf een oplossing te bedenken. Ja, inderdaad gelukkig is het allemaal goed gekomen daar hebben we veel geluk mee gehad. He wat balen! Jammer dat je tegenwoordig niet meer alles kunt vertrouwen. Hopelijk heeft het je herinneringen aan je vakantie niet verpest. Ja vind ik ook enorm jammer. Omdat het in de luchthaven zelf zit dacht ik dat het ok was…. wat een stress was dat, ik snap je helemaal en goed dat je dit deelt een, een gewaarschuwd mens telt voor 2. Klopt, daarom deel ik graag dit artikel zodat andere niet dezelfde ‘fout’ maken! Ik vind dat een heel behoorlijk bedrag – goed dat je mensen even inlicht!